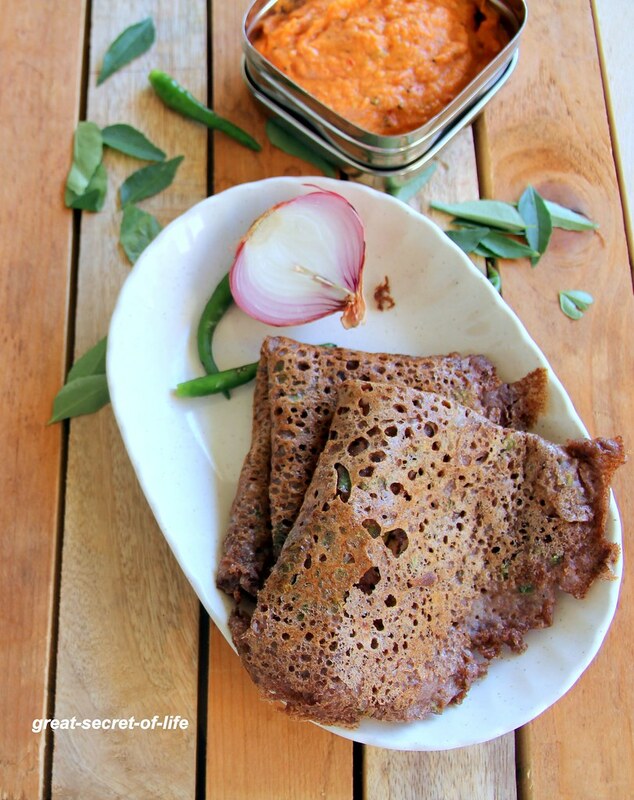 I love any form of Ragi dish. My mum gets freshly milled flour for me. 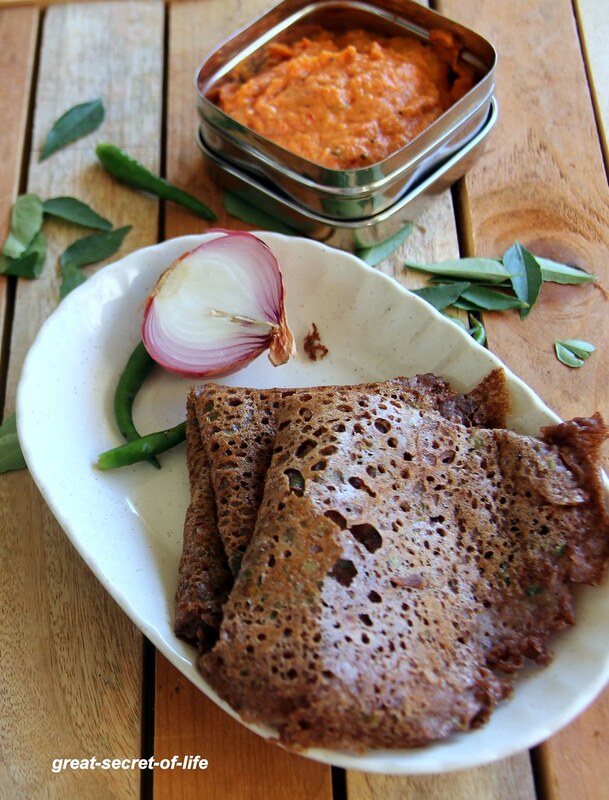 Ragi Roti is one of my most favourite dish and I make this at least twice a week for my lunch. 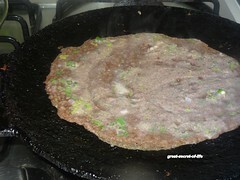 My 2nd son is also fond of Ragi dishes. since my hubby and my first son are not big fans I seldom do it for the family meals. 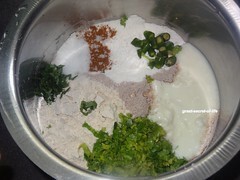 Nowadays my husband is more healthy conscious so he is more open for millet base recipes. 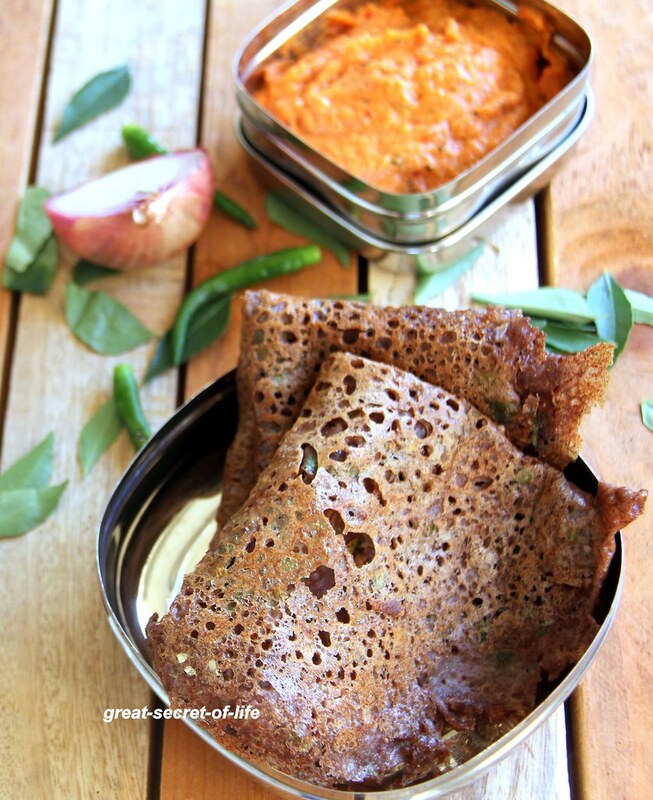 So When I suggested instant Ragi dosa for our dinner last week they readily agreed. To my surprise my son also liked it. 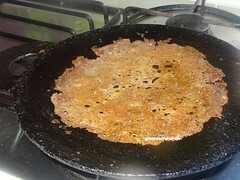 Heat the flat pan and pour it like rava dosa from outside to inside. 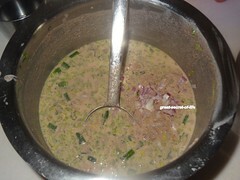 Drizzle oil and let it cook it in medium low flame. Turn it over and cook again.